Eriel Deranger of Athabasca Chipewyan First Nation in Alberta, and Maya Lemon from Nacogdoches, Texas, speak out on struggles of frontline communities fighting tar sands. Deranger was speaking in Boston as part of the Tar Sands Exposed Tour along with photographer Garth Lenz, who has documented not only the stunning beauty of northern Alberta’s natural landscape but the biblically-proportioned devastation and dire human cost of industrial tar-sands oil extraction—a form of strip-mining considered the most ecologically destructive resource extraction project on the planet, and the source of the viscous, toxic tar-sands crude, or diluted bitumen, that will flow at a rate of more than 800,000 barrels a day through the full length of the Keystone XL pipeline if the remaining northern segment is approved by John Kerry and Barack Obama. The tour was organized by the grassroots climate group 350 Maine, which is fighting to prevent tar sands oil from flowing via an existing pipeline from Montreal to the Atlantic coast at Portland. But the stuff is already flowing through a cumbersome network of pipelines and rail across the United States—and has already spilled disastrously in Mayflower, Arkansas, and the Kalamazoo River in Michigan (where three activists with Michigan Coalition Against Tar Sands were convicted on January 31 and now face a two- to three-year jail sentence for nonviolent direct action to oppose expansion of the Enbridge pipeline there). And it may already be flowing through the southern segment of Keystone XL—from Cushing, Oklahoma, through East Texas, to refineries on the Texas Gulf Coast—which was fast-tracked by Obama in 2012 and went into operation on January 22. What Deranger wanted her Boston listeners to understand is that the massive tar sands extraction projects in Alberta are not only ecologically devastating and life-threatening but culturally devastating, threatening the ability of her people and other indigenous communities to maintain their way of life and their traditional, sacred connection to the land and water—even as that land and water is poisoned, posing lethal threats to their health. The Athabasca Chipewyan First Nation (ACFN) has started fighting back, launching legal challenges to the oil companies and the Canadian government, arguing that approval of tar sands projects violates the terms of Treaty 8, signed in 1899, guaranteeing their First Nations rights. As Washington and much of the climate and environmental movements are consumed with the debate over Keystone XL in the wake of the State Department’s release of its much-criticized Final Environmental Impact Statement, voices like Deranger’s from frontline communities tend to get drowned out amid the din of the national conversation. 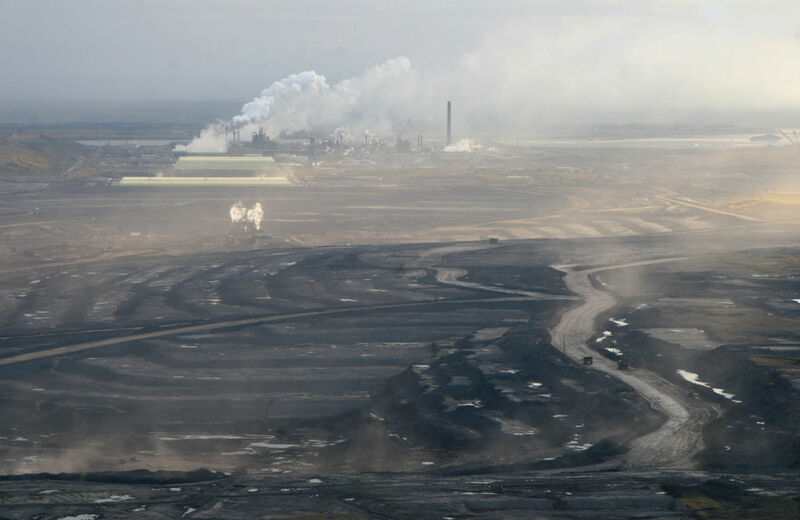 While ACFN’s battle got a big boost recently from Neil Young, who performed a series of “Honor the Treaties” benefit concerts last month (after Deranger gave him a tar sands tour), other communities affected by tar sands remain largely unseen and unheard in US media. Last summer, I went to East Texas and Houston, at the southern end of the Keystone XL, on assignment for The Nation, and wrote a piece about Tar Sands Blockade and the grassroots battle against KXL South, as activists down there call the southern leg. I also wrote about the Manchester neighborhood on Houston’s East Side, where I talked with Yudith Nieto and Juan and Bryan Parras of the environmental-justice group t.e.j.a.s. about their struggle against decades of toxic pollution and the lethal health effects from oil refineries and other industry along the Houston Ship Channel. But I didn’t write much about the situation of rural and small-town East Texas communities along the route of KXL South, where grassroots opposition to Keystone and other tar sands pipelines has been growing for years. So on January 22, when I received an e-mail from the group NacSTOP (which stands for Nacogdoches Stop Tar Sands Oil Permanently), I reached out to spokesperson Maya Lemon, 24, whose parents, Jim and Kerry Lemon, were among those I met and interviewed in Nacogdoches last July. I interviewed Maya by e-mail over the past week, and she has so much to say I’ve decided to include most of our exchange here in Q&A form. It has been lightly edited. Wen Stephenson: First, can you briefly introduce yourself to Nation readers? Maya Lemon: I grew up in the pineywoods of East Texas on an off-the-grid homestead. As a child I spent endless hours exploring the woods and creeks of my family’s land as well as many other pieces of adjacent property. Our closest neighbor was over a mile away but the dirt roads to my home often had a lot of traffic. Situated in the largest oil & gas field in Texas, industry was a closer and more present neighbor than any one person. We lived alongside drilling, pipelines, fracking, compressor stations and chemical storage tanks. Because my family doesn’t own our mineral rights, Exxon has been able to do pretty much whatever they want on our land. When I was 14 my father was diagnosed with leukemia, a cancer with known links to petroleum production. Surrounded by industry activity, every day I live at my parents’ home I wonder what chemicals and carcinogens my family and I are being exposed to. For the last several years I’ve worked as an outdoor educator with youth-at-risk in the Boundary Waters of Northern Minnesota. This spring I am using my off-season to engage in community organizing in East Texas. Although it feels good to advocate for my community, there are also many moments that I am overwhelmed with the breadth of work to be done in East Texas and the enormity of the task we face. Texas is the belly of the beast for sure, and only through the work of dedicated individuals will shifts be made to protect the people, places and culture of this unique state. There’s an intense focus right now on Keystone XL in Washington and within the national climate and environmental movements. But of course the southern leg of the pipeline is already operational, as of January 22, and frontline communities like yours in Nacogdoches, and near the refineries, stand to suffer the consequences. I’m curious how the national Keystone fight looks from your perspective. First of all I think that we need to clarify that the “national Keystone fight” is about the northern segment of Keystone XL. What my community, along with groups like Tar Sands Blockade and others along KXL South, have been trying to stress is that we are part of the national Keystone fight. The southern segment of the pipeline, the part that runs through my community, is the missing link that brings tar sands all the way from Canada to refineries in the Gulf. Keystone XL South runs through my community—our lived experience with this pipeline and with TransCanada is our stake in the national Keystone fight. When we talk about the “national Keystone fight” without clarifying—or highlighting—that KXL South has already gone into operation, we effectively undermine the work and reality of individuals living along the route of KXL South. No one should have their land taken, no communities should be cut through with tar sands exportation, no more tar sands should be extracted at the cost of indigenous life and land, no more oil should be refined in the gulf at the expense of human health in what are mostly communities of color. What the national Keystone fight often seems to miss, however, is that all of the things I listed above will continue to happen regardless of what gets decided about KXL North. The climate movement has made KXL North the symbolic fight, and although it is very important, we will miss the point and be ineffective unless we broaden the tar sands fight to include KXL North and South, refining communities, other corporations looking to extract and export tar sands, indigenous communities who are harmed at the source and all those who live with the reality of tar sands in their communities. What does it mean to resist tar sands in your part of East Texas, now that the pipeline is up and running? We resist by speaking up so that we will not be helpless victims in the event of a tar sands spill. We resist by empowering members of our community to feel that they can speak out against things that are unjust but may not be easily be stopped. We resist by continuing to work for the safety of our community even though Keystone XL South is in operation. Our resistance is our continued struggle to give voice to the people and places that we love and that are threatened by this pipeline and other forms of extreme extraction. What kinds of specific things are you doing, with NacSTOP and your community allies/partners? One of our largest areas of concern at this point is for the local first responders who would be responsible to act in the event of a tar sands related emergency. We do not feel that these individuals, who are mostly volunteers, have received the training they need to ensure their own safety in the event of a tar sands spill or leak. We are therefore working with local first-responder groups to encourage extensive training and preparation for responding to a tar sands spill on a local level. Baseline testing is another focus of our work for this coming year. We are hoping to test water, air and soil along sections of the pipeline in our community in order to have a baseline measurement to offer for comparison in the event of a spill or leak. How can climate activists, in particular, help fulfill their mission—in short, to prevent runaway global warming—by placing more emphasis on frontline communities? How is it strategic? Can you offer an example? In the early 2000s very few people knew much about fracking. The technology expanded rapidly and rural communities were undergoing drastic development, but a general understanding of the practices used in fracking or the ways they impacted communities did not exist. Historically, East Texas was a very important oil field, one of the biggest in the US outside of Alaska, and the discovery of the Haynesville shale has made it a major natural gas producer as well. I live in this community and as early as 2004 I could have discussed, in detail, the trauma of living next to a frack site, the burning eyes and nose, nausea, headache and psychological fear. Frontline communities are the “trial sites” for new extraction technologies and practices. Taking direction from frontline communities is strategic because they are on the ground experiencing the realities of different extraction techniques and are close enough to see future problems associated with these methods before anyone else. The experiences, fears and questions of frontline communities make them experts. At the same time, it is important to recognize that many people already live climate change impacts. Folks in the Gulf Coast region are frontline experts on reasons to fight climate change because they are living it now. Weather events like hurricanes have increased (and been very destructive) in this area, heat and drought have hit records (in 2011 between 300–500 million trees were killed by drought in Texas), extraction industries hold ultimate power in many communities, and incidences of cancer and other illnesses related to the petroleum industry leave their mark on many individuals and families. As a united movement we must work to improve these conditions and circumstances or risk condemning millions of people right now to living a life impacted by climate change and runaway industry development. People I know in the grassroots climate movement in Massachusetts and New England are tirelessly fighting the climate fight, including against Keystone XL and other tar sands pipelines, including one that could run through New England to Portland, Maine. How can grassroots groups in different parts of the country support one another? Before the January 22nd startup of KXL South, organizers in East Texas sent out a call to our allies asking that they tell our story and demonstrate solidarity with us on the 22nd. One particularly meaningful solidarity action came from two allies in Portland, Maine, who locked themselves to a TD Bank to raise awareness on our experience. What was unique about their action was the intentionality with which they highlighted our message. Every piece of press coverage on their story in turn linked back to those of us living with KXL South in Texas. This selfless demonstration of solidarity also drew local attention in Maine back to the ways that Portland stands to be impacted by tar sands. They succeeded in bringing attention to tar sands in Maine while not undercutting the experience with tar sands that folks have in Texas. This action demonstrates the ways that showing solidarity can make us all stronger. It shows how offering love and support to another community facing a similar struggle can have a mutually beneficial effect. Grassroots groups can also support one another by using inclusive language to frame their work. As a movement we must use language that highlights the importance of our collective struggle with tar sands, using local level issues as a lens to examine this many-headed beast. Sharing resources, offering support and continuing to point to the millions of people impacted right now by tar sands is an important way that grassroots groups can support one another’s work. Grassroots groups need to look to one another to define both the work and the conversation—guiding national discussions towards the lives of the real people impacted in local communities across the US.